Thomas Beveridge, MD, FRCPC, FHRSis a diplomate of the American Board of Internal Medicine and is board certified in cardiovascular disease and clinical cardiac electrophysiology. He specializes in the treatment of heart rhythm disorders. 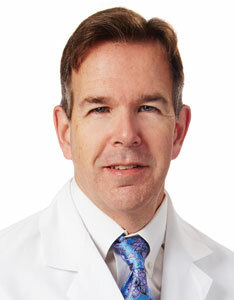 He has been practicing in Dallas since 1996 and joined Arrhythmia Management in 2007. Dr. Beveridge received his medical degree from the University of Manitoba Faculty of Medicine in Winnipeg where he also completed his internship and residency in internal medicine. He then relocated to Texas and completed his fellowship training in cardiology and cardiac electrophysiology at the University of Texas Health Science Center in Houston.